Universal Japan Studios is rolling out five big attractions this spring. 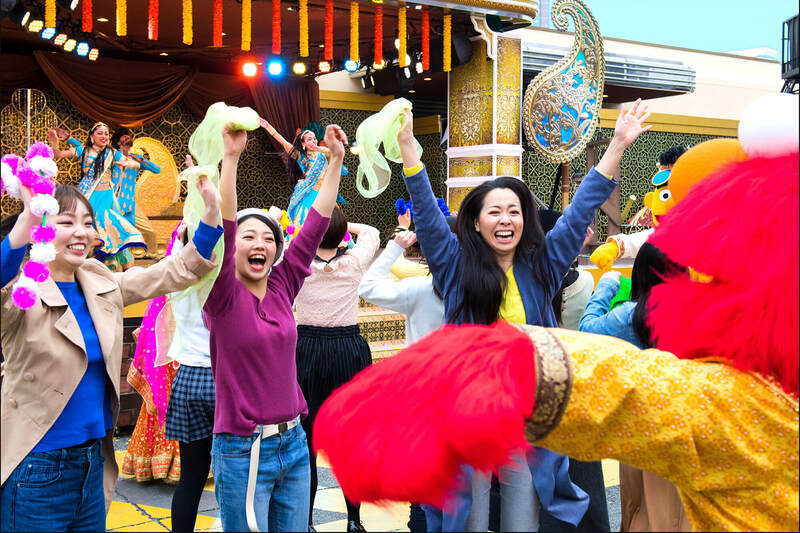 A preview for the press was held on March 19 for the first two new attractions―World Street Festival and Universal Easter Celebration―which are set to call in the spring and bring an entirely new experience for guests during the daytime. The World Street Festival will pit all guests in the leading part of an exciting and musical Bollywood-style show. 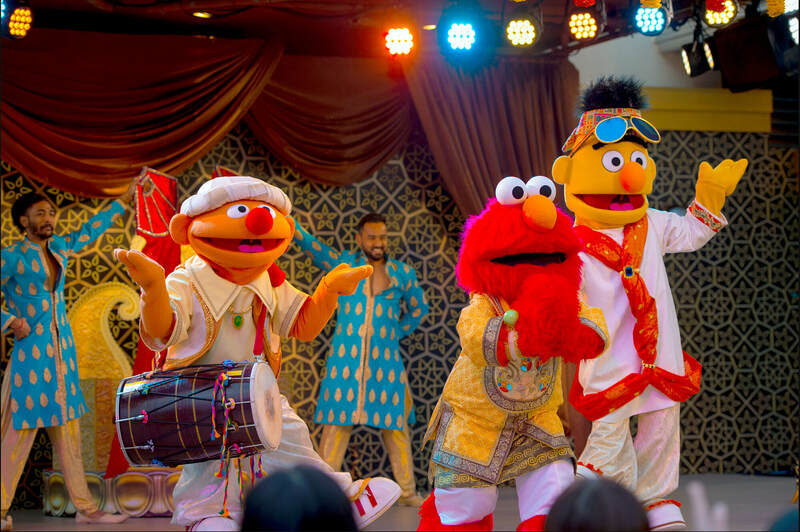 There will be 7 performances in total, one of which is Sesame Street Bollywood, a concept show featuring Elmo, the Cookie Monster and other familiar faces who are shooting a music video with singers from India. During the press preview, singers and dancers who travelled from India for the show dressed in bright and colourful clothing on a vivid set and sang beautiful music while dancing captivating moves. During the climactic dance scene which requires lots and lots of people, guests were invited as ‘extras’ in the video shoot to put on an energetic finale. The World Street Festival will give host to shows from experienced performers from around the world, live music performances, a new Minions show, character greetings, a world food festival and more. With so much on offer you won’t have to worry up about lining up to get into anything as you walk up and down the park. 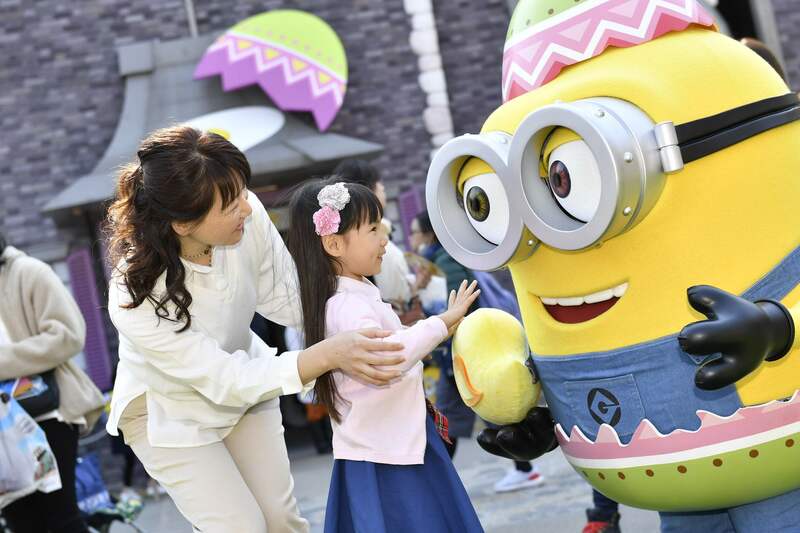 Finally is the Easter-themed Universal Easter Celebration event which is bringing in the park’s first Universal Wonderland and the world’s biggest Minion Park. Minions will be walking around dressed in all the colours of spring. There will be bunnies, Easter eggs and chicks everywhere, and guests can look forward to Easter egg hunts, food prepared specially for this season, merchandise and more. Read here for more information. 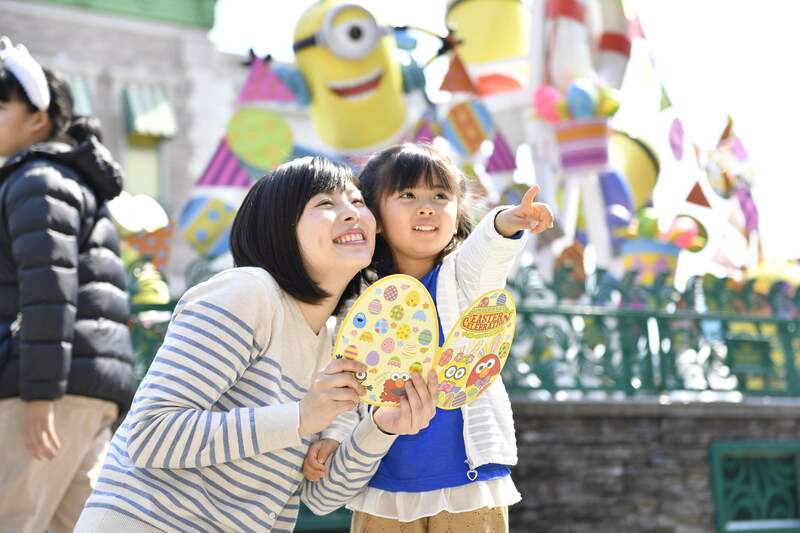 Enjoy the all-new attractions coming to USJ this spring. Next » Osaka’s Universal Studios Japan to open three new attractions! copyrights of Universal Studios. Licensed by Universal Studios Licensing LLC. All Rights Reserved.TM & © 2019 Sesame WorkshopUniversal Studios Japan TM & © Universal Studios. All rights reserved. Osaka’s Universal Studios Japan to open three new attractions!